That is a super awesome trick to keep changing the image file and how it updates in the forum. He has really great ideas for hype building! 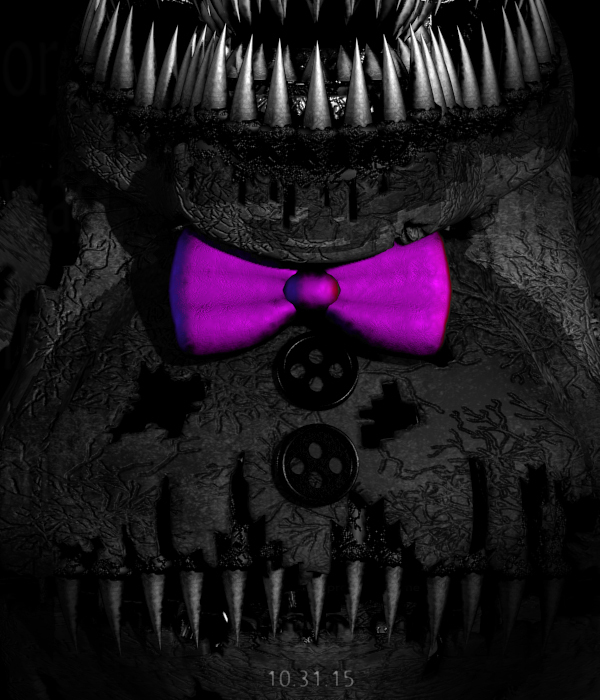 Turns out during the small period while I was gone the image updated, first to a spooky tank-like Foxy... thing, then to a spooky hat and bowtie (with a couple secrets in it of course) and now it's what appears to be... some Fredbear (older version of Freddy) with a stomach... mouth? NOTE: I spaced out the images because they seemed to collide with my text when I didn't do so. If those of you are curious as to why the first image says 'or me? ', same with the last image saying 'Or was it me?' 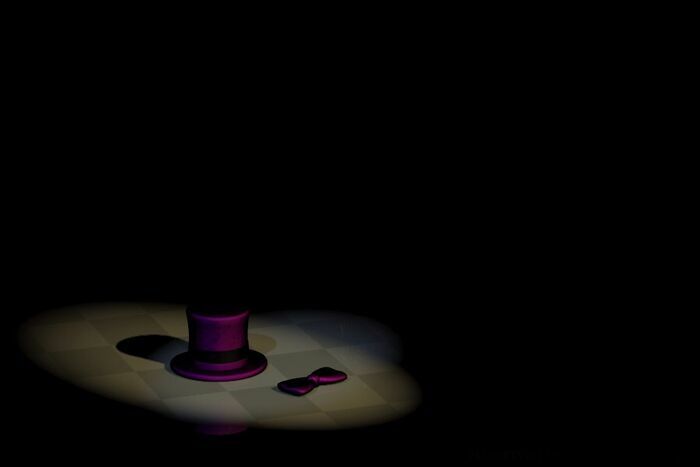 if you brighten it, it's some sort of thingy that has been going on ever since the original 'Nightmare Bonnie' image appeared on Scott's site. Awesome! He's doing an amazing job building up the hype for the next game! Welp, got ANOTHER image just yesterday (was focused on some IRL things so I couldn't put it up). There's a thing in the source code that when put into an encrypter ends up saying PLUSHTRAP, so our springy friend is a plush now. And brightening the image reveals 4 doorways, wonder what that's about. Also, THIS IS THE FIRST TIME WE GET TO SEE THE ACTUAL OUTSIDE WORLD IN THE FNaF UNIVERSE! Find that a little bit funny. 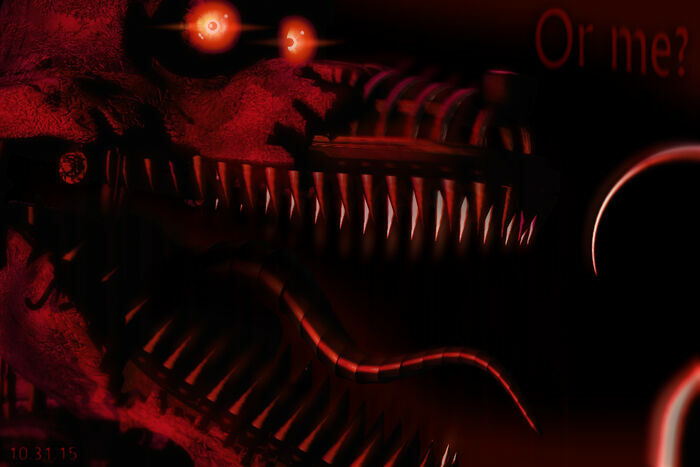 The Five Nights at Freddy's 4 trailer was uploaded today. It looks really cool! I think mixing it up and putting it in a house was a good idea. matt wrote: It looks really cool! I think mixing it up and putting it in a house was a good idea. Also, that Nightmare Bonnie jumpscare at the end was a bit sloppy, I think a fade in/zoom in would've made it look better. We'll just see what happens once the game is released. 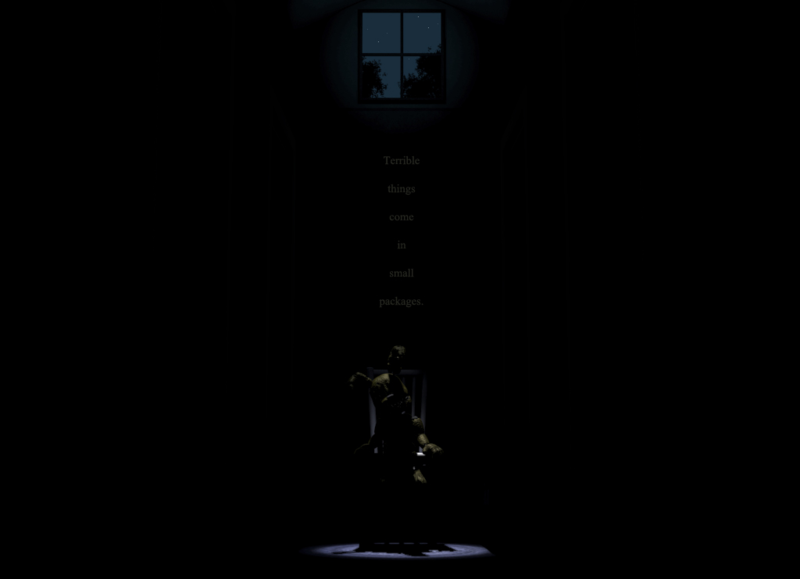 Also, August 8th is coming up - which is the day the original FNaF was released. I truly hope Scott celebrates somehow. Isn't he celebrating by releasing FNAF 4 on that date instead of Halloween? matt wrote: Isn't he celebrating by releasing FNAF 4 on that date instead of Halloween? Indeed he is, I just found out about that.